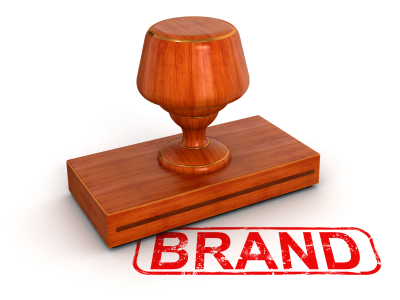 Building brand loyalty is essential in business. All companies strive to reach the level at which customers are so committed to a product or service that they will not accept a substitute. This article, the fourth in a series on branding, illustrates ways in which you can attain brand insistence from your own clients or customers, just as Apple and Starbucks have done. Branding a product or service doesn’t happen overnight. The first article of this five-part series broke out the five stages of building a brand and reviewed ground zero, also known as brand absence. In the absence stage, a company’s main objective is to get the word out. The next stage, brand awareness, happens when people learn the name, logo, color scheme or audio signature and can immediately associate one or some of those elements with the specific company or product. As article three in the series explains, with hard work, a good product or service and a commitment to making the customer’s experience with the brand exceptional, a company reaches brand preference. At this level of branding, a customer will almost always choose the preferred brand if it’s available but, if it’s not, will buy another brand without much thought. This, the fourth article in the series, discusses the fourth stage, brand insistence. On a scale of one to ten, the insistence stage of branding is a ten. At this level, if a product isn’t readily available, a customer will not buy then and there but will look for the preferred product elsewhere. This is a fabulous place for a company to be. It means that someone’s experience with a product and all its particulars — performance, durability, customer service, etc. — has been sufficiently exceptional to have earned an incredible level of loyalty. Apple is a perfect example of a company with brand insistent consumers. It is perceived as technologically-advanced, user-friendly and just all-around superior. Committed to everything Apple, Mac users won’t even discuss the positive attributes of a PC and are likely to try all Apple products. They love everything about their Macs, iPads, iPhones, Mac stores and apps. Steve Jobs is one of their idols and, to put it bluntly, Apple customers would probably buy a television or car if the company made them. Starbucks is another great example of a company whose customers are at this level of loyalty. This is not to say that the coffee-deprived person won’t stop by the corner deli when he or she needs to, but that Starbucks customers think of the brand in a totally different way. Yes, it is about the taste and strength of the coffee, but it is also about the entire customer experience including the atmosphere, the lingo (Tall, Grande and Venti) and the socially-conscious image. In short, Starbucks is an experience while Dunkin’ Donuts is a stop on the way to somewhere else. It’s important to remember that brand insistence can be lost much more quickly than it is achieved. One bad product experience can undo everything. Without the ongoing reinforcement of positive branding attributes, consumers are often likely to lose or lessen their level of insistence. The next and final article of this series on branding will focus on the type of loyalty that translates into incredible business success. Yes this is exactly what we all strive for The Branding is a critical to business survival. I truly believe getting your name embedded in the public mindset, and Branding is the way. Thank you for the insight – Now i know when I hear…”Oh yes! ” your the guys On the corner” my Brand is sinking in !